Like Investing, Selling Options is Equally Hard. Here's Why. Having multiple streams of income is important in my life. In stock investments, most investors I know get their streams of passive income from capital gains and dividends. Getting premiums/cash flow through selling options is another strategy I often use. But all the serious investors will tell you that like investing, selling options is equally hard. 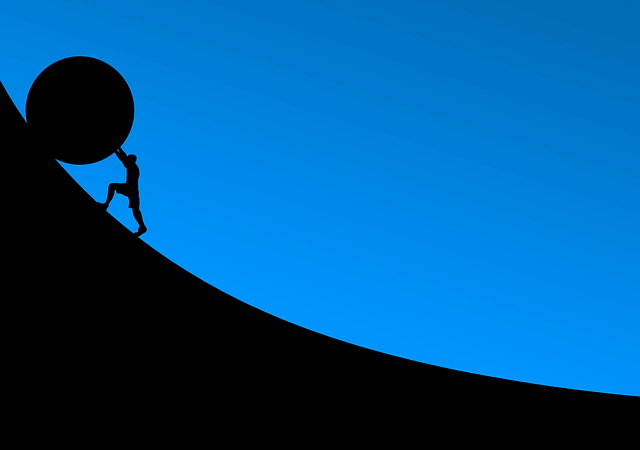 This article will share with you why it is hard. And even so, why I still use it as a part of my value investing strategy. “Like Investing, Selling Options is Equally Hard. 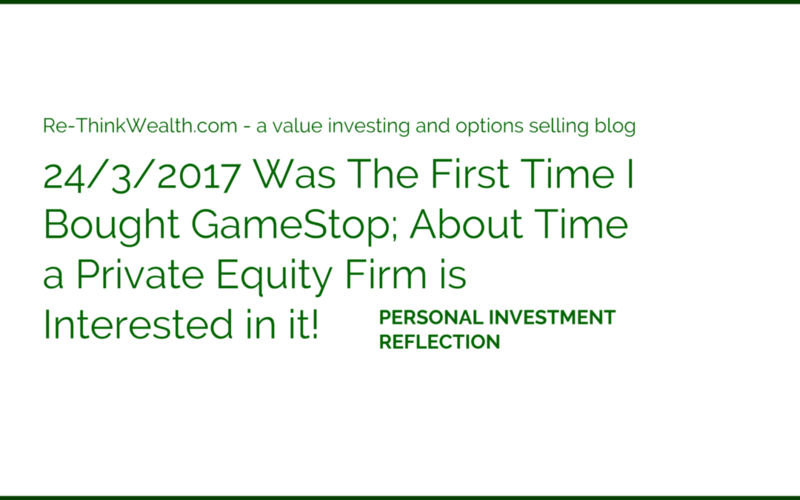 Here’s Why.” – Before I start sharing with you more about options selling, I would like to share a little bit on why investing in stocks generally is hard. In value investing, behind every stock is a business. That is the fundamental concept of value investing. Behind every stock is a business. In business and in capitalism, we are always being attacked by competition. Because of this fact, investing is very dynamic. Things change fast. If we do not understand what we are doing in stock investing, we will definitely lose a lot of money. Because of the dynamic nature of a business, it is already challenging to find a business which has great fundamentals that are coupled with a strong and sustainable moat. Hence, regular monitoring of the durability of the moat is important. For example even if today we found a company with a really strong competitive advantage/moat, maybe great network effect as the moat. We still have to monitor the company’s updates at least every three months. We have to make sure that the business continues to expand its moat, and not let its moat to be eroded by competitions or other forces. Defining what we really know and what we do not know can be hard. What is even harder is trying to know what we do not know. And more often than not, it is the management of our own behavior and emotions that is hard. Staying rational is important – but it takes an effort to do so. We have to be super aware of our human bias. For example, if we find out that one of the companies we are vested in, have deteriorating fundamentals and the current value is no longer more than market price, can we sell and take a huge loss? Admit we are wrong? Most cannot and most justify their stand with what they want themselves to believe. I have made this mistake too. So one way I try to minimize this is to spare more time to reflect and think a lot about my investments. And talk to people I find credible. See where I may have gone wrong. Now, there is a reason why a lot of top value investors say your character is one of the key determinants of one’s success in investing. And I agree. Investing is not only tough because business is very dynamic by nature but, it is also tough because of human emotional bias that leads us to make the bad decision. We need to understand not only the psychological aspect of investing but also the technical nitty-gritty details of analyzing and valuing companies. Different companies should be analyzed differently. Different companies should be valued differently too. And in each valuation methodology, there will be the inputs to get the output (intrinsic value), the inputs/assumptions need to be as realistic and conservative as possible. Doing these well, increases our chance of success in stock investing. Investing is tough. Options can be an even tougher concept to grasp for a lot of people. It took me a long time to get a good grasp on it (And an even longer time to apply it successfully). It can be really difficult to understand if nobody is guiding you. For those that apply it wrong, it can be a weapon of their ultimate destruction (more will be shared later in this article). The amount of money that one could lose doing the wrong things with options can even be more than their principal. It is definitely not for everyone. The reason is people misunderstood options easily. It is not as easy to understand as stocks. Even for some student in my vim club, it took them quite some time to understand it. Reading it online or in books would definitely not allow most to apply options well fast, specifically options selling effectively. Options selling can and should only be done after 1 have a great understanding of value investing and know how to apply it. 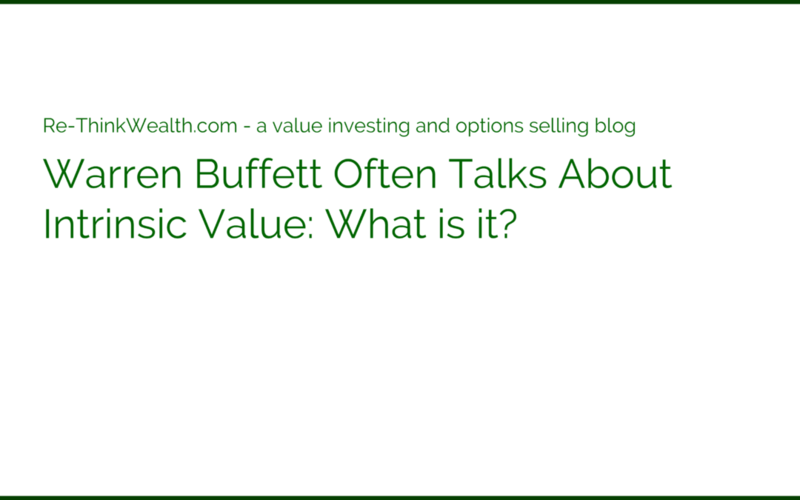 Did you know that even Warren Buffett does options selling? But there is more than meets the eye for options selling. For one, understanding the impact of implied volatility and how to leverage it. As well as deciding on the time horizon you want to sell your options at are all key. Before I dive deeper into how options selling can be hard, I have to also say that to me, selling options are essential in my financial freedom journey. 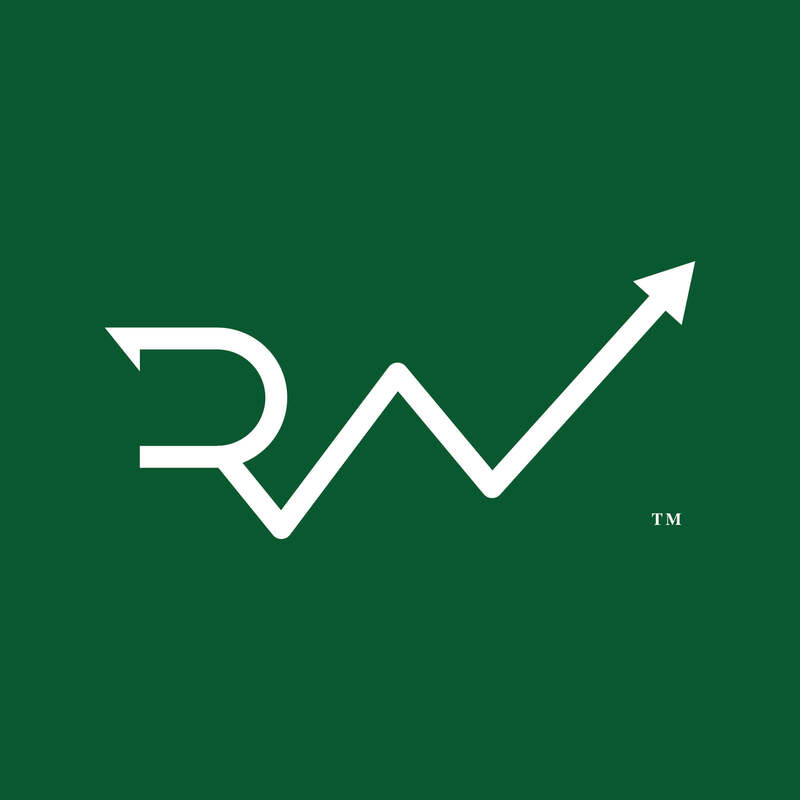 It is an important part of my investment strategy because it allows me to get additional cash flows on top of dividends and capital gains through value investing. 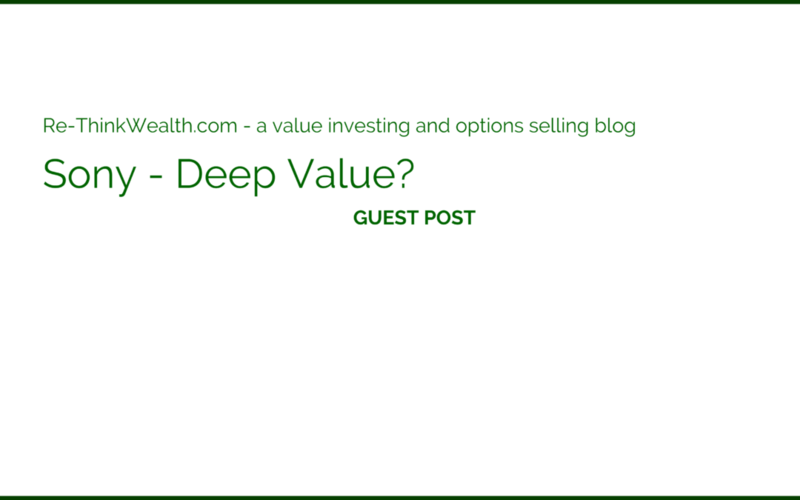 After all, that is why I position this blog as a value investing and options selling blog – not just value investing blog. I have always viewed value investing as the core of my stock investing strategy. Options selling is an important tool for me to get even more profit from being a value investor. That has always been how I looked at it. Selling put options are especially relevant for value investors. I will learn more things in the future. Will always be a student of the market. But I can definitely see how options selling is very beneficial in the long run for value investors. I will explain to you more below why is that so. In this article, I will explain to you further what are options, what is selling and buying options. And some of the reasons why it can be hard but yet – doable – and everyone who understands it well should do it. But for most, they should stay away from it – if they do not truly understand the associated risks well. I knew that might be moving too fast if I immediately explain to you why options selling can be hard. You will find no meaning in it unless you roughly understand what is options first. So first… the definition of options: Options are derivatives. Which simply means that its prices are linked to an underlying asset. 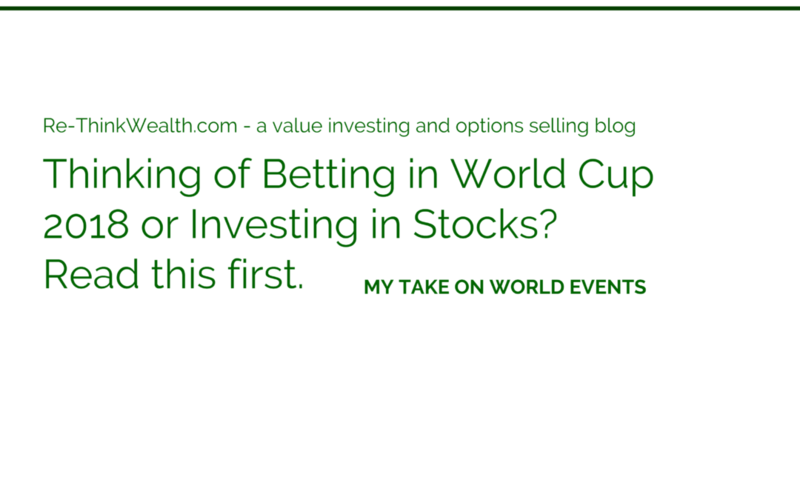 In stock investing, we are talking about options – with the underlying security of stocks. There are two kinds of options in the financial market. They are called the call and put options. Call options give the buyer the option or right (not obligation) to buy the stock at an agreed price on a particular date. Put options are the opposite – it gives the buyer the option or right (not obligation) – to sell the stock at an agreed price on a particular date. Options seller is on the other side of the equation. Options seller have the obligation, but no right to buy or sell the stock at the agreed price on a particular date. To put it in context and simply, the call options seller has the obligation to sell the stock and the put options seller has the obligation to buy the stock. So yes – like stocks, we can also buy or sell options. 1. Buying or selling naked options is when we do not have the stocks or money needed for the worst case scenario. 2. Buying or selling covered options, on the other hand, is when we do have the stocks or money needed for the worst case scenario. The above 2 are my own definitions of what naked and covered options mean. Having practiced it for some time, I think it is accurate to define that way. I am sure if you just Google “options selling or buying” you can find other definitions out there. I personally only sell covered options (both put and call) so far. Because that is the most logical method to me so far – based on my understanding of how to make good money consistently from the stock market. The reason that I focus on options selling is that it focuses a lot on getting upfront additional cash flows. They are also known as premiums. It allows me to get additional cash flow on top of dividends and capital gains. Buying options, on the other hand, means cash out first to gain exposures in long or short stocks, selling options is cash in first. Selling options are also a perfect fit for a value investor. We love it when great companies are at the operating table (quoting Buffett). We love it when great companies are selling at a bargain price. Selling options allow value investors to focus on buying good companies only at the price we can comfortably own it. Selling put options, for example, allows value investors to opt for a lower price that they are ready to be obligated to buy it in return for premiums. Selling call options allows value investors to opt to sell their stock at a higher price and get premiums for promising that. Now, I prefer to paint as many bad things up front first before sharing with my students the good things. Options selling can be very risky. Selling put or call options each has its own risks. It can be simple to understand at first glance. But to truly understand it deeply in 2nd to the 3rd level of thinking can take some time. And lots of practice. Selling put options means that we are promising to buy the stock if it falls below a certain price within a certain period. 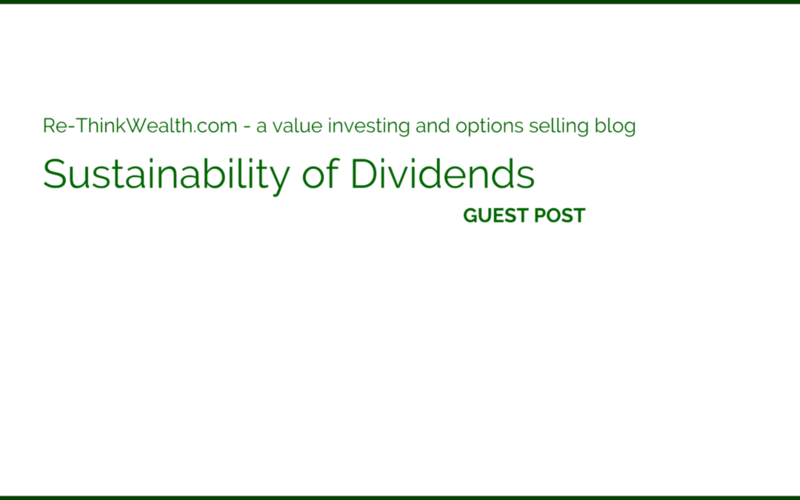 In return, we get premiums/cash flow – which is the good part. But selling put options can be hard. It is hard because the price of the stock can fall much below the strike price that we set for the put options. That means we may get the stock and be in immediate unrealized capital loss. Of course, another danger of selling put options if one does it naked. Because there will be a chance where one has to put up the cash to meet their obligations but yet – they have no cash. They will get margin calls and be forced to sell off any stocks they have with the brokerage to raise the needed cash. Of course, there are strategies out there concerning whether to sell put covered or naked. For me, I prefer to sell it covered. For me, it is important that I already have the cash ready to buy the stocks at the price and quantity I set in the first place. This is selling covered put options. This, of course, is easier said than done because as you know, the investor would need to already want to buy the stock in the first place. As a value investor, I am very keen on owning great companies at a good price. And in the long run, the big money is still through capital gains, then followed by dividends and options premiums (from selling put and call options). There are arguments also, as to why don’t we buy the stocks outright. Why do we sell options instead? By selling covered put options, we should have to have ready cash and we cannot use the cash – in case our options got exercised. There is opportunity cost too in the unused cash. This is one of the downsides of selling a covered put option. Well, I never said it is easy. Options selling can be hard. Above are just some situations why it can be hard. There are also many other reasons why I still do it. For one, it is more conservative than selling a naked put option. And I believe that being conservative is a way to consistently preserve and grow our capital for the long run. 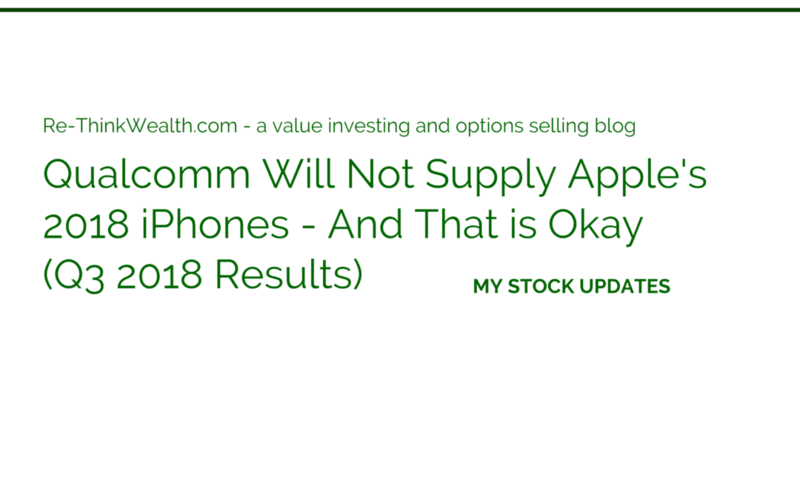 Selling call options means that we are promising to sell the stock if it went above a certain price. In return, we get premiums/cash flows. The hard part is, the greed within us will think, “what if the price goes way above the price I sold the call options at?” And that makes it hard for us to sell call options. Because if let’s say we sell call options at $14 and the stock at expiry date is at $20, we will be obligated to sell it still at $14 instead of the current market price of $20. A principle that I use is that I sell call options at the price I would like to sell my stocks at. Which means that of course, I have to already have the stock in the first place. This is selling a covered call option. The downside is we cannot sell the stocks during the contract of the call options unless we buy back (close) the option. Selling call option is hard because we need to be able to balance the greed and fear within us well enough to ascertain a selling price. And if the selling price of the call options is too far away from the current price, no or little premiums will be made. Ascertaining the selling price is a task by itself. It requires us to analyze the company well enough and value it well too. But of course, the huge danger is when one does not have the stock and sell call options anyway. That is selling naked covered call options. In this scenario, you can imagine promising to sell stocks you do not have say at $20. On the expiry date, if the stock is trading at $40, you will have to buy at the market the stock at $40 and sell it to the call options buyer (another side of the table) at $20 – an immediate realized 50% capital loss. Very dangerous in my opinion. For some retail investors, they might also find it hard to sell options if their capital is too small. Because for each options contract, one will have exposures to 100 stocks. For example, for investors who sell covered put options, they would need to have the cash to buy the stocks they sell put options on. That means at least, enough cash for 100 stocks. To put it in context, for a stock that sells for $10, one will need at least $1,000 of capital excluding commissions to sell 1 contract of put options. Then again, $1,000 should be no problem for most to taste how investing in the stock market is like. 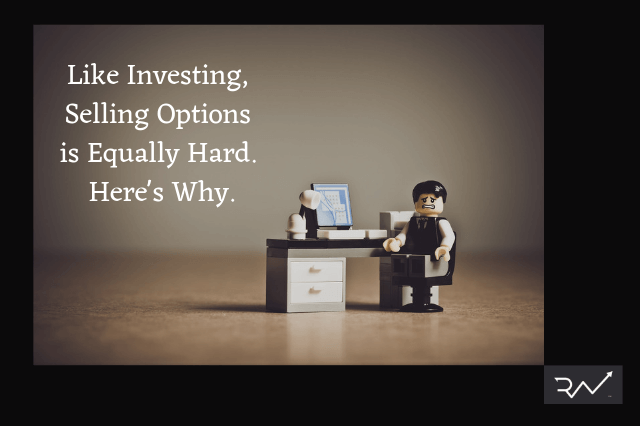 But for most (maybe even you), selling options can be tough because they have not understood step 1 (value investing) well – which is knowing and applying the framework of analyzing and valuing a stock. Most are not yet comfortable with understanding how to analyze and value a stock properly in a business-like way. Which is an extremely crucial first step before anyone should attempt to sell options – which is the second step. Failing to do step 1 properly, in my opinion, can be extremely dangerous for anyone who tries to attempt step 2 – selling options. 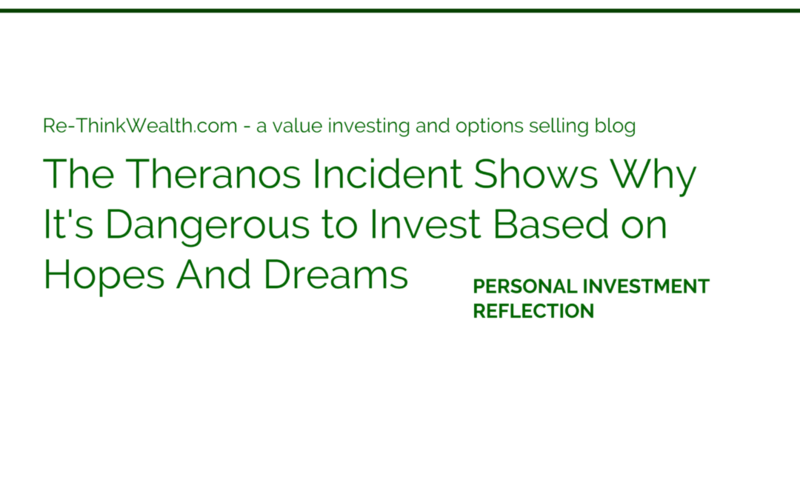 Here is an article by Forbes where the author, William Baldwin, a senior contributor of Forbes talked about how Warren sells put options. 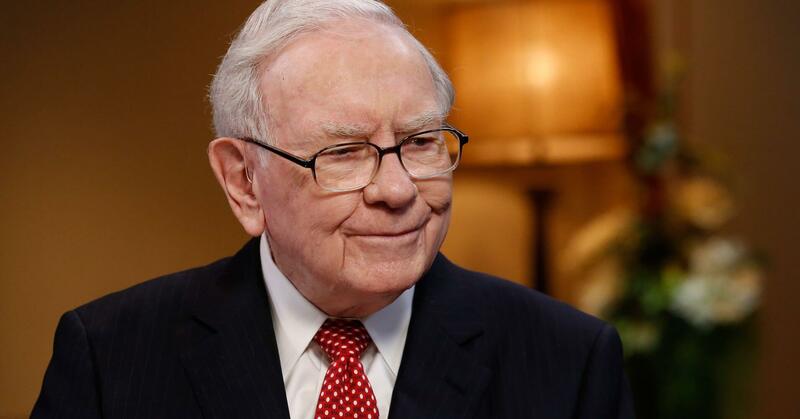 Based on the article, Warren Buffett has sold several billion dollars’ worths of put options through his company, Berkshire Hathaway. The article mentioned that Berkshire puts are custom-designed contracts which originally matures over 15 to 20 years. The options are traded on the Chicago Board Options Exchange. As with where most options are traded. Why did Warren do it? Simply put, it is because he has the willingness to own stocks as their prices fall. Here is an excerpt from the article explaining the rationale of why investors sell options. “Suppose you are willing to take on 1,000 shares of the SPDR. To be fully collateralized you’d have $107,000 of cash in your account. You’d write ten put option contracts, each for 100 shares. You thereby promise that if the fund drops by nine points or more over the next two and a half years you will buy 1,000 shares for $125,000. For this promise you get a bit less than $18,000 up front. What the author meant above by “fully collateralized” is simply the fact that the investor should have the cash to buy the stocks. Which in the above case, he is talking about the SPDR. So that is what I meant also by selling covered put options. For the Warren Buffett case above in the article, it would seem that from my understanding he is selling naked put options. That means he gets the upfront cash without having to set aside capital to buy the underlying securities in case it got exercised. This way, he is able to compound the premiums he got years into the future. But also because he sells options at a really long period into the future, he will be in no urgent need for raising cash – in case his put options got exercised. A strategy that I might even use in the future (not at the moment) – selling long-dated (multiple years) put options. The good things about this are that my cash would not incur huge opportunity costs through multiple years if I were to set aside it for this purpose – which also means it will be more dangerous instead of what I usually do – covered options selling. Two ways possibly to manage this risk:  sell a put option only on solid security  sell a long-dated one. Reason for  is to ensure the sustainability of moat in the future and  is to raise any cash one might need when nearer to the expiry. Again, I’d like to reiterate that making money from options is hard work. 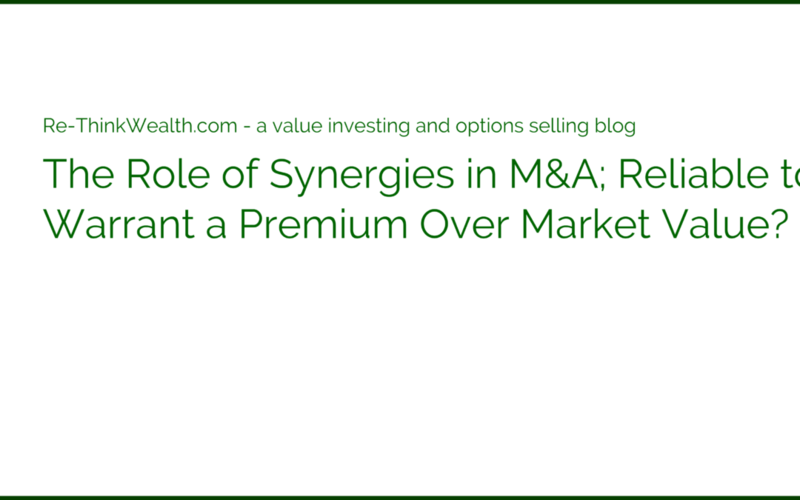 One would need to have a deep understanding of not only the company and its valuations, but one would also need to deeply understand the psychological influences at play when selling options. We will need to understand how implied volatility works, at what price we need to sell the options at, as well as for how long. Also, the awareness to cut loss when we make mistake or cut gain when it is the right time to sell. So far, my personal experience with selling options has been good. I have, of course, being human, been greedy along the way and made costly mistakes. Got lucky and learned from it. I am more patient now. And I am less greedy. And I share my mistakes and risks on options selling with my vim club members on a 1:1 basis. On the other hand, I noticed I sell options lesser when I believe that there is a near term catalyst with regards to the company. This is both good and bad. There are many considerations when I sell options. And most of the time, the hard things is understanding the company deeply enough to make accurate decisions as well as fighting against our human emotional bias. But having the tool (understanding option selling) is definitely better for a value investor than if without one. Remember, we mentioned that as the seller of options, we have the obligations, not the right to exercise the options. Hence, the seller gets premiums. Buyer, on the other hand, gain the exposure to profit from being long or short stocks and in return, they pay the premiums (and have the possibility of losing all of the premiums paid with no ROI at all). That is why I mentioned above that buying options is better for speculation (prepare to lose it all) or hedging purposes. Even when I buy options, I based it on the fundamentals of value investing. For example, when I wanted to gain long exposure to a stock, what I did for some stocks is that instead of buying the stock outright, I buy a long term (1.5 years and above) call options on it. One mistake that I did is, of course, paying too many premiums for it. Should have used the Black Scholes model for it. Also, I realized that the chances of me losing all my outlay for buying the options in the first place is pretty high. Especially when unexpected things happen (price goes down rapidly for example) – and it usually does. So I can foresee buying options as a hedge (buy put options to secure selling price) or as exposure to some stocks without wanting a huge capital outlay (but have to be willing to be constrained to a time period and potential loss of all outlay). The reason is that when we buy a call, if the price is not above the strike price, all our premiums will be gone at expiry. And if we buy a put, if the price is not below the strike price at expiry, all our premiums will be gone at expiry. My experience so far says that options selling gave me a higher chance of profiting as opposed to buying options. Albeit, buying options will give me more profit if extremes happen – and total loss if the extremes do not happen. So I learned to realize that buying options are more for speculations/hedge – something I may not do often (as of this moment, I have bought call options on one company I am long on) as a bet. 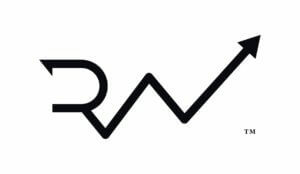 Watch this space as I will update you more valuable and free stuff on my investment journey (value investing and options) in due time. In the end, investing is simple, but not easy. But without a doubt, if everyone can do it extremely well, the number of opportunities we get from the market will ultimately decrease over time. Fewer stocks will be undervalued. Harder to find gems. But most people that I met and know (maybe 99%) do not understand the way value investing work. Only 1% do. This is good news for value investors. 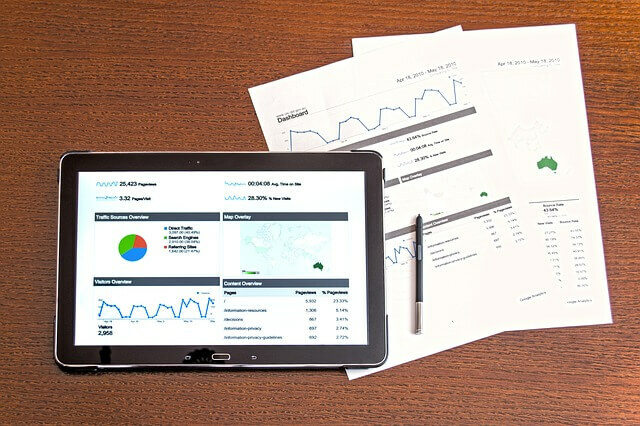 Although I have to also say that with the advancement of the internet, it is easier for people to get information related to value investing (although the application of it is another story – having a human like me to guide you is better). This is good news for you. This blog you are reading is one example of how using the power of internet, you can gain access to knowledge which could potentially empower you for a better life. As years flew by from the first time I invested in my first stock, I am as convinced back then as I do now that value investing and options selling practiced together is an important life skill that most should learn to do properly. It is a skill if done right, with the right framework and guidance, it can make our retirement years easier with passive cash flows from the stock market through dividends, capital gains and options premiums. Let us know what you think about this article. Submit a letter to Chris at chris@re-thinkwealth.sg. Subscribe now.